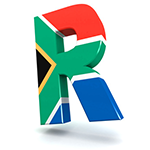 Dual Citizens – Don’t Risk Losing Your South African Citizenship! You are a South African citizen. You decide to acquire dual citizenship. Your reasons for doing so are irrelevant – perhaps you are living/working overseas, perhaps you want a second passport just to make travelling easier, perhaps you have financial reasons. What is relevant is that you risk losing your South African citizenship. Are you an agency trading through a company or close corporation (CC)? If so, this is for you - a recent High Court (Full Bench) case in which a close corporation lost its commission because its Fidelity Fund Certificate (FFC) was only in the sole member’s name and no separate FFC had been issued to the CC. White Collar Crime at Work – Report It! Submit Your 2016 Budget Tips! Can you and your business afford to run the risk of losing all your important computer files and data when your computer crashes, or is stolen / lost / damaged / destroyed?